Flexible conduits and fittings installation is simple. The fitting screws easily onto the conduit,without the need for special tools. 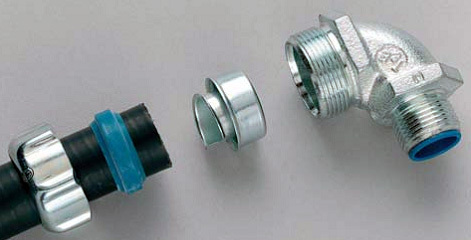 The fitting can be removed and re-used again at any time. The fitting also performs excellently against severe vibration. In tests, the fittings have been shown to be extremely secure and guarantee a high level of security and reliability. 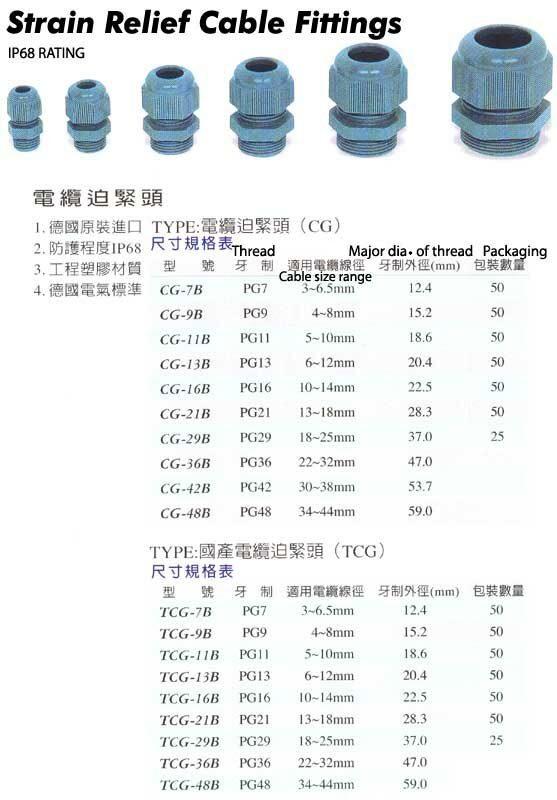 Over braided flexible steel conduit is particularly used in (mechanical) critical situations, such as machine-building, steel works but also in transport systems and security. 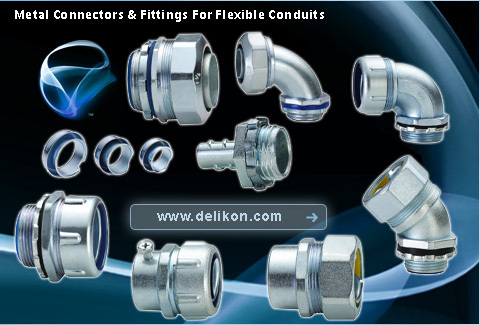 Delikon produces a whole range of high quality metallic connectors and fittings for connecting flexible metal conduit to a box or enclosure, or coupling a flexible conduit to an EMT.